Is it Sean Connery? Daniel Craig? Roger Moore? Well, if you're a fan of the original Ian Fleming novels the strongest argument can be made in favor of Timothy Dalton. Dalton had that rough around the edges style that Daniel Craig has used so well, but he also showed a lot of class and came across as more of the gentleman that we have come to expect from Bond over the years. Timothy Dalton had that dichotomy, he was one of the toughest and most ruthless of the Bonds, but he was also one of the classiest. His Bond movies have aged very well, and the nuances he gave to the character in his performances were absolutely stunning. Very realistic. He was just ahead of his time, as Daniel Craig has proven. Dalton handles his introduction to the role excellently, able to switch effortlessly between portraying Bond as a ruthless killing machine and as a charming gentleman. The film was a success with both audiences and critics, and was widely considered to be one of the best entries of the series in a long time, in no small part because of the new leading man. The film doesn’t follow the established formula of previous films, featuring Bond operating as a rogue agent outside the control of MI6, hell-bent on revenge against an international drug baron whose actions have seen his best friend, Felix Leiter, maimed by a shark and Felix’s wife gang raped and murdered. The film is a rollercoaster ride from start to finish, with Bond portrayed as a ruthless, intelligent and unforgiving individual who infiltrates and seeks to destroy the drug lord’s operation. Showcasing Bond in a different light to usual, Dalton proves more than capable of the task, portraying 007 as a highly dangerous weapon, but also as human, with the film’s premise being one of the few times that the man lets his emotions dictate his actions. Having meticulously studied the source material for the series – Ian Fleming’s books, which he constantly re-read and referenced on set, Dalton came into the role prepared, seeing the role as not just a job and a paycheck, but a chance to put his stamp onto one of the world’s best known characters. Dalton's performances were so nuanced that a lot of people miss the little things that are just incredible in his performances. He goes from absolute joy at the beginning of Licence To Kill to melancholy (when the idea of him being married is brought up) to absolute shock and despair (when he finds Della's body, and then Felix), to absolute rage - and all of it absolutely real. Nothing about that performance looks like, "Acting." It all comes across as 100% genuine. The look of anguish and despair on his face after he discovers Della's body is both chilling and heartbreaking. And that wasn't the first time he had such a reaction. Watch the looks on his face when Saunders is killed in The Living Daylights. He goes from a clear look of shock and sadness to absolute rage in about 1.5 seconds. It's an amazing bit of acting that goes so fast that most people miss it. It's natural, and it's real. And this follows the characterization of sheer joy for life at the beginning of the movie when he lands on the boat and decides to enjoy the simple pleasures in life before reporting in. He has that mischevious streak. But those moments are often missed by his critics. Dalton had class, he had range, and he had that edginess that only Connery had really hinted at, but left behind after From Russia With Love. Dalton's Bond came across as a real person who became a spy and assassin, with all the emotional baggage that would go with it. And like a real person with that baggage his Bond still could find joy in the simple things, but, again, his critics completely miss that. 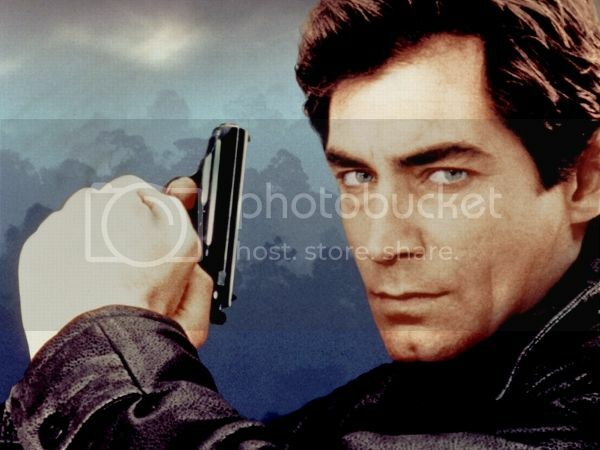 Timothy Dalton is a great actor and he gave the best portrayal to date of Ian Fleming's James Bond on the big screen.